Do Any of The Following Resonate With You? Feeling low in mood, sad or depressed? Having relationship or family issues? Anxiety controlling you or is your anger out of control? Feeling stuck or a negative mindset holding you back? Have a diagnosis or dealing with Mental Health Issues? If so, counselling can help. Feeling low, anxious or depressed? Do you lack motivation and don’t know why? Is this starting to affect daily life and impact your frame of mind? Are you and your partner having relationship issues? Is your marriage under strain or at breaking point? Have you lost your ability to communicate effectively or are having intimacy problems? I help Individuals and Couples with Counselling services here in Kent. I work with a variety of issues so if you are struggling with anxiety, depression or having relationship difficulties then working together could help you gain understanding. If you want to feel more in control of your life and live in ways that are meaningful to you then I can help. I am an Integrative Counsellor and a registered member of the British Association of Counsellors and Psychotherapists. My counselling journey began in 2009. Initially I attended Mid Kent College where I obtained my Counselling Skills and Counselling Theory certificates. I then decided to complete my Integrative Counselling Diploma with Inter-Psyche, an NHS affiliated BACP approved course based in Dartford, Kent. I graduated in 2013. After graduating my work in a local Sure Start Children’s Centre continued and in January 2014 the centre recognised the validity of my role and I gladly accepted a paid position here counselling parents of families that have been referred to the centre for support. I worked with a variety of emotional and psychological issues here, ranging from anxiety and depression and including domestic violence and sexual abuse. Working within the community matters to me and it was fulfilling to discover this work benefited the whole family, especially the children. I found it rewarding to be in a position where I made a difference like this. In November 2014 I opened my first private practice in Rochester High Street, Medway. Early in 2016 I began thinking about offering my service in a different area and in June 2016 I opened my second private practice in Longfield, Kent. In both practices I offer a discreet bespoke service where I am able to see a range of clients with many different issues. I really enjoy my private work, I believe I learn just as much from clients as clients do from me and it is such a privilege to be a brief part of each client’s journey. In September 2016 I accepted a bank staff position with West Kent Mind but have not worked within the community here due to my growing private practices. In December 2017 I was fortunate to find full time premises so I moved from Rochester to Wainscott. Going forward I aim to offer my services full time. I continually add to my skillset by attending regular continued professional development training to ensure my working knowledge is up to date and current. I am passionate about what I do and feel it is my vocation in life. This was reinforced for me when I discovered my name Samantha means “to listen”. So I am confident that you will be heard by me. To listen sounds simple, yet it is a complex skill. It’s the most basic but powerful way to connect to another person. My belief is that people start to heal the moment they feel heard. The term Integrative means that I am trained in 3 different models of practice – these being Humanistic, Psychodynamic and Cognitive Behavioural Therapy (CBT). 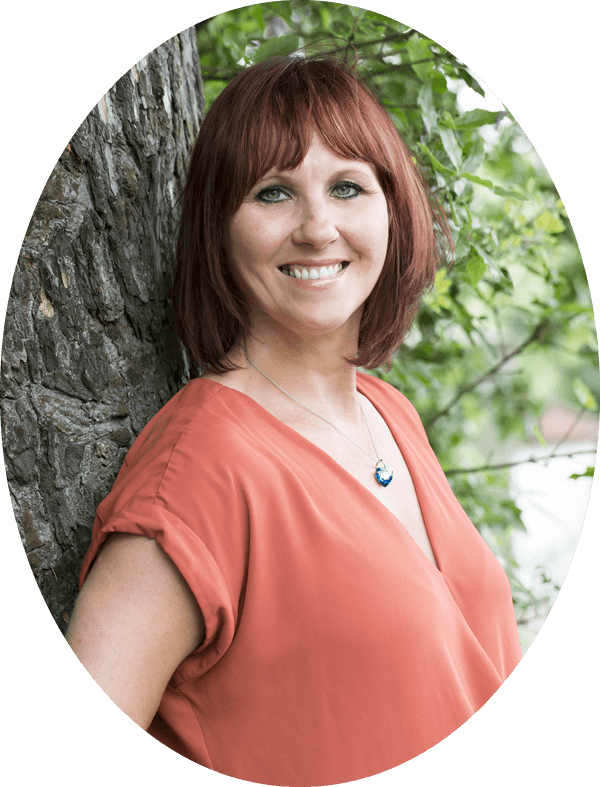 Whether you are an individual or a couple you will benefit from my 3 in 1 approach as I am able to adapt my working style to suit your need at any given time. For couples work my focus will be on the relationship between you and exploring the dynamics of this. Being humanistic ensures I work in a person-centred way, during sessions you will be encouraged to control your own direction and maintain your autonomy. My role is to facilitate self-enquiry and self-reflection. I work on the premise that clients know best what it is they need though they may not be aware of this. “It is the client who knows what hurts, what direction to go, what problems are crucial, what experiences have been deeply buried.” (Carl Rogers). My role will be to accompany and sensitively support clients through this process, wherever it may lead. The Psychodynamic approach works with the conscious and unconscious processes. Do you find yourself repeating negative patterns of behaviour or maybe you continuously attract the wrong type of relationship and don’t understand why? If so then it can be beneficial to reflect on the past or revisit past experiences as a way of understanding how these could be operating in the present. Awareness brings understanding, which can help you make more informed choices and feel more in control. CBT works by challenging ways of thinking and exploring your belief system. It can highlight any unhelpful thought processes that could be holding you back. CBT benefits those with a negative mindset as it can curb the cycle of negative thinking. Our thoughts govern our mood which affect our behaviour – change your thoughts and your emotions and behaviour follow. Additionally I am ADHD and Autism aware with National Autistic Society training and I have experience working with individuals who are neuro diverse. I also have knowledge and awareness of specific learning difficulties so I welcome working with individuals who are differently abled. I also have much to offer parents or those caring for anyone with Special Educational Needs and/or Disabilities. My work centres around accepting individuals irrespective of a diagnosis and I always strive to meet the person as a unique individual. Being warm, non-judgemental and empathic means I work with individuals respectively, compassionately and with purpose, whilst remaining professional at all times. Being intuitive with a flexible approach means I can easily find creative ways of working and can think outside the box to explore and experiment with other techniques, if necessary. Sometimes exploring issues through visual and practical aids like cards, art therapy colouring books and worksheets can enable clients to better express themselves. I can work short or long term and in a solution focused way. However, if deeper rooted issues are uncovered then working longer term is more beneficial. I also offer one off sessions to clients that have seen me before. If you are still unsure about whether to book an assessment session with me or have questions, then I can offer you a FREE 15 minute telephone consultation. Please contact me to arrange. I work with individuals including young people (aged 16-18). Sessions are usually weekly. The amount of sessions agreed will be dependent on the issues you bring but initially individual sessions start at 6-8 weeks with a view to extend if needed. Couples work starts at 8-10 weeks depending on the issues that you bring, with a view to extend if needed. Sessions are usually weekly but can be fortnightly. 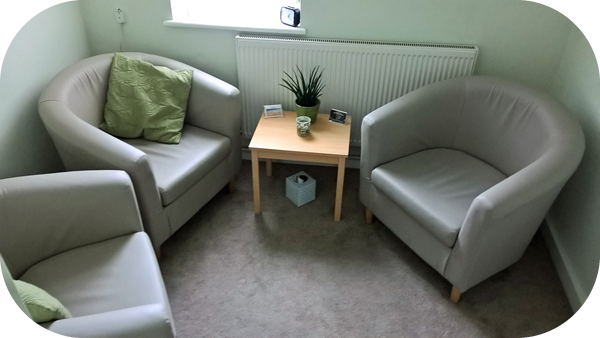 Believing that counselling should be available to all I also offer those on low incomes or benefits a concessionary rate – this starts at £20.00 for a daytime session only. Please note that I have limited spaces for concessionary rate sessions so please contact me to check availability. I operate a waiting list whenever necessary. Both my practices are within walking distance to public transport links. Tuesday – 9.30am to 8.30pm – I can offer daytime sessions on Fridays. The nearest car park is in Waitrose – free parking for 2 hours. Free car parking is available on site grounds. There are bus stops on Hollywood Lane.